The big research finding prior to developing the new TV Guide ad campaign? "That the consumer is not in love with TV - the consumer is in love with a particular show." And it took actual research to determine this? Hello? This is not a new finding. People aren't in love with the delivery vehicle. They're in love with what that vehicle brings them. Someone ought to tell the folks over at Disney who still seem to think the success of High School Musical 2 was due to love for the Disney Channel as opposed to the movie itself. Both acknowledging and eagerly setting itself apart from its past, TV Guide's Editor in Chief Ian Birch said, "TV Guide as a brand had to change. The new TV Guide is about the fans, about the passionate viewers - it's not about somebody who looks at railway timetables." Again, this has been the case since TiVo and cable companies rolled out online guides. So now we have TV Guide re-inventing themselves as an Entertainment Weekly that focuses only on TV. Good luck. 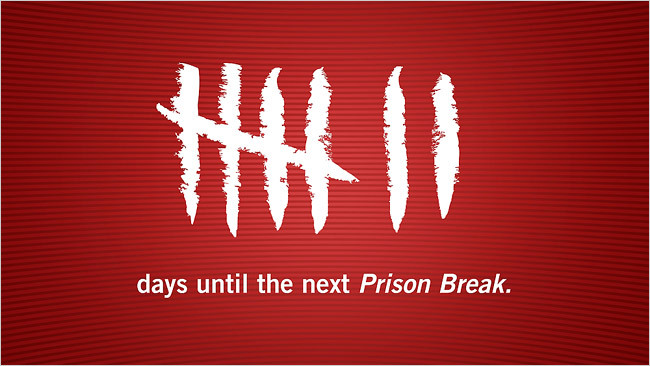 We will admit we do like the new TV campaign which places customized countdown ads after popular shows telling viewers TV Guide will help get people through the week until the next installment of their favorite show. And Cramer-Krasselt, the agency who told CareerBuilder to take a hike, is at the helm. Whether or not anyone ever reads TV Guide, with Cramer-Krasselt, at least it'll go out like a ball of fire and not a tiny whimper. And if Cramer-Krssselt nees one last idea as the ball of fire fire passes overhead, there's always Jennifer Love Hewitt.